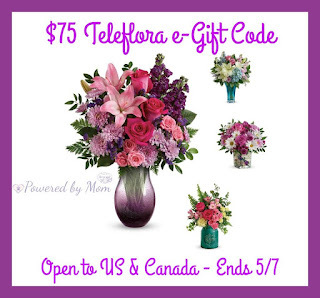 Here's a giveaway open to the residents of the US and Canada for some flowers, or at least a gift code for some flowers, from Teleflora. Good luck. Read Powered by Mom's review on the All Eyes on You Bouquet HERE. 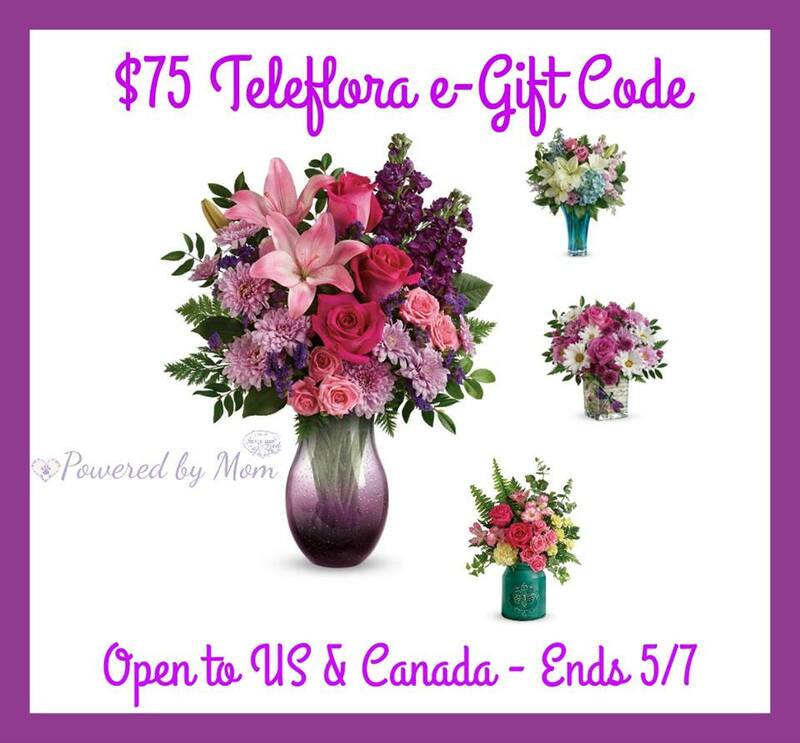 To celebrate all moms whether they're a mom, grandma or just a special lady who has been there for her loved ones Teleflora wants to celebrate them all with some beautiful floral bouquets! 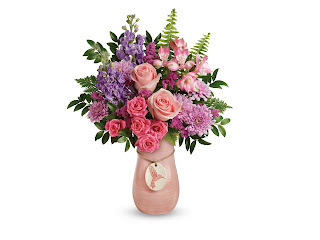 Teleflora, the world’s leading floral delivery service, is sharing its Mother’s Day bouquet lineup and is honoring all sacrifices and fearless acts of love this Mother’s Day with the launch of the “Love Makes a Mom" Campaign! Love Out Loud this Mother’s Day by sending a beautiful bouquet by Teleflora – all made by hand and delivered by hand by your local florist. To place your order, please visit HERE. Don't forget to come back for the daily entries to increase your chances of winning! I would get the Wildflower In Flight Bouquet. I would love to give this to my daughter. My mom is in a nursing home, so I think I would choose the All Eyes On You Bouquet for the nursing station, so all the moms there can enjoy them. I would get the Teleflora's All Eyes On You Bouquet for my mom. I would get Teleflora's Heart's Pirouette Bouquet for mom.